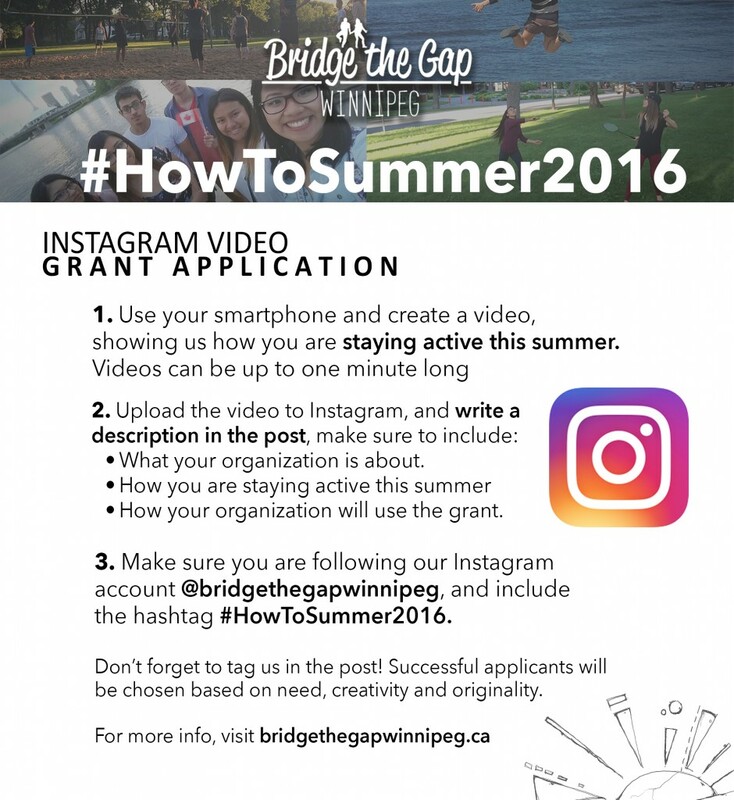 We at Bridge the Gap Winnipeg, along with the North End Community Renewal Corporation, are teaming up to reward a $2000 grant to a deserving North End organization for young people. The application process is simple. 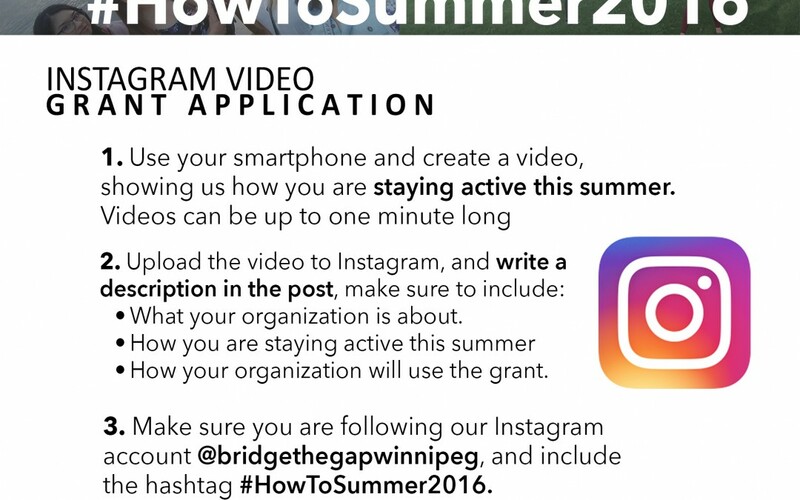 Use your smartphone to create and upload a “short video” application through Instagram called: “#How To Summer 2016”.